The couple confirmed the news on Instagram Monday, along with a photo of the newborn's tiny hand clutching her parents' hands. 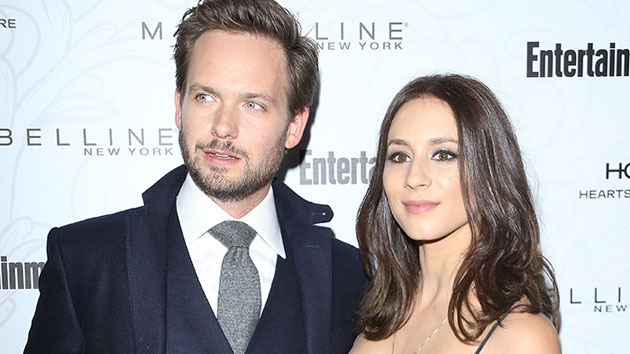 (LOS ANGELES) — Pretty Little Liars star Troian Bellisario and Suits star Patrick J. Adams have welcomed their first child together, a baby girl. The couple confirmed the news on Instagram Monday, along with a photo of the newborn’s tiny hand clutching her parents’ hands. The two kept the pregnancy largely out of the public eye, and they both showed their gratitude to everyone who respected their privacy. A name for the little girl has not yet been released. Bellisario and Adams have been married since December 2016.